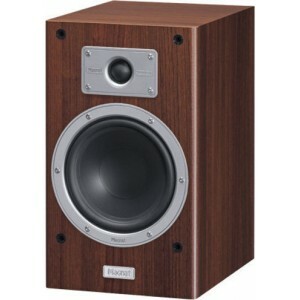 ﻿ A 170 mm diameter FE Dynamics bass-midrange driver and a 25 mm fmax tweeter are used in the Tempus series shelf speakers. ﻿ A 170 mm diameter FE Dynamics bass-midrange driver and a 25 mm fmax tweeter are used in the Tempus series shelf speakers. An identical configuration enables a particularly well-balanced and homogeneous soundscape to be generated in combination with the other Tempus components. Despite its compact dimensions, the Tempus 33 is capable of reaching a low frequency of 33 Hz, while a housing consisting of E1-MDF panels ensures a low resonance performance. The upper frequency range extends to 45,000 Hz, which means the Tempus components are also ideally suited for playing high-resolution audio signals. ﻿ Ηχεία βάσης 4 Ohm, 2 Δρόμων, 85-150W, 25mm TW, 170mm woofer-midrange,bass reflex.